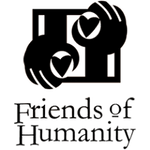 In 2004, Friends of Humanity President Renel Noel led a team of Miami volunteers who installed a domestic water system at Beraca Medical Center. He returned during a recent cholera epidemic, located and cut off the source of contamination, preventing the deaths of thousands. Northwest Haiti lacks an adequate infrastructure for clean drinking water and sanitary hygiene. There is no sewer system and there is no waste water treatment plant. The people of Port-de-Paix obtain their drinking water from unprotected springs and rivers which are contaminated by bathing, laundry, and refuse disposal. At the slightest rainfall, waste blocks drainage canals in Port-de-Paix and floods the city. The lack of clean drinking water and sanitary facilities is compounded by natural disasters. In the two years following the 2010 earthquake, Haiti experienced a massive cholera outbreak. The number of deaths has roughly tripled since Hurricane Sandy struck the island. The true mortality rate in northwest Haiti will never be known.